Minister for Foreign Affairs Timo Soini will participate in an informal meeting of EU foreign ministers (Gymnich) in Bucharest on 31 January–1 February. The topics on the agenda of the two-day meeting will be the EU's Eastern Partnership, China, Venezuela, and Syria. On Thursday, ministers will discuss the EU's Eastern Partnership. 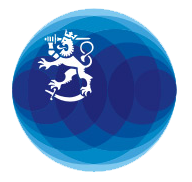 Finland considers it important that the partner countries make progress especially in their political and legal reforms, concerning the rule of law, democracy development, fight against corruption, and independent media, for example. In the discussions on the situation in Syria, Finland emphasises that priority should be given to the UN-led talks and that the EU should fully support the process and the work of the UN Special Envoy to Syria. The situation in Venezuela will be discussed in light of the most recent developments. On Friday, discussions will focus on China. These discussions will be conducted first between the foreign ministers of the Member States and later together with their counterparts representing the candidate countries. Finland considers that the EU-China cooperation functions mainly well, but more strategic discussion on China is needed within the Union. Gymnich is a biannual meeting hosted by the rotating Presidency of the Council. The meeting is named after a castle (Schloss Gymnich) in a small town in Germany, where such a meeting was held for the first time in 1974. Inquiries: Matti Nissinen, European Correspondent, tel. +358 295 351 780, and Katja Kalamäki, Diplomatic Adviser to the Minister, tel. +358 295 351 518.